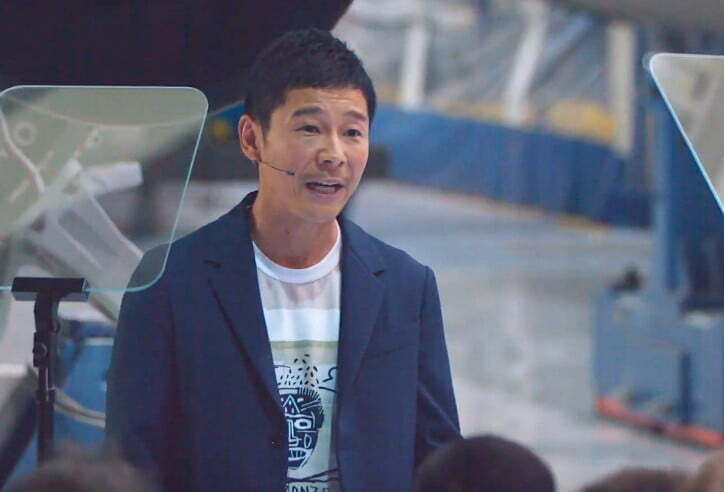 So, who do you think Yusaku Maezawa should take with him on his five-day round trip to the moon when he travels there aboard SpaceX’s Big Falcon Rocket (BFR) in 2023? SpaceX CEO Elon Musk on Monday named the wealthy Japanese entrepreneur as its very first paying passenger for the planned fly-by of the faraway rock. Maezawa, who made his fortune in online fashion retail, surprised the gathered crowd at SpaceX’s headquarters when he revealed that he wants to invite as many as eight artists on the once-in-a-lifetime space trip. He said each artist should be established in a field such as painting, photography, music, movies, fashion design, and architecture, adding that he hasn’t decided who to ask yet. It sounds rather like the “fantasy dinner guest list” game for the billionaire club, though this is for real and will … perhaps … OK, maybe … actually happen. In that case, 42-year-old Maezawa will need to choose his travel companions with the utmost care. In space, no one can hear you scream, but things could get rather raucous inside the capsule if any of those titanic egos clash hundreds of thousands of miles from Earth. If they stick a few cameras on board, it could turn out like a space-based Celebrity Big Brother. How cool would that be? But the big question is, if Maezawa invites Elon Musk — the man behind SpaceX, Tesla, the Boring Company, and Hyperloop, and who many consider as an artist of sorts — will he accept it? It would certainly be hard for the man who owns the company that built the rocket to say no. Though if he did, he’d definitely need an excuse better than “Sorry, I need to get my hair cut that day” to convince Maezawa and his fellow passengers that BFR doesn’t actually stand for Big F—— Risk.